Sometimes the best things in life are those simple things we overlook. When it comes tov vacations, we often seek big adventures or tropical paradises to visit. Living in the Philadelphia area, we have so many great and local Staycation opportunities! You don’t have to break the bank to enjoy some fun time with your family. A fun vacation may be just a short trip down the road. We have some great Staycation reviews lined up for you this Summer (isn’t that so nice? We’re doing all the research for you! ), and we’re starting with Lancaster County, PA! Chesco Mom Steph had a great chance to do a Staycation in Lancaster in mid-June. Her stay was FANTASTIC, and she can’t wait to share it with you. 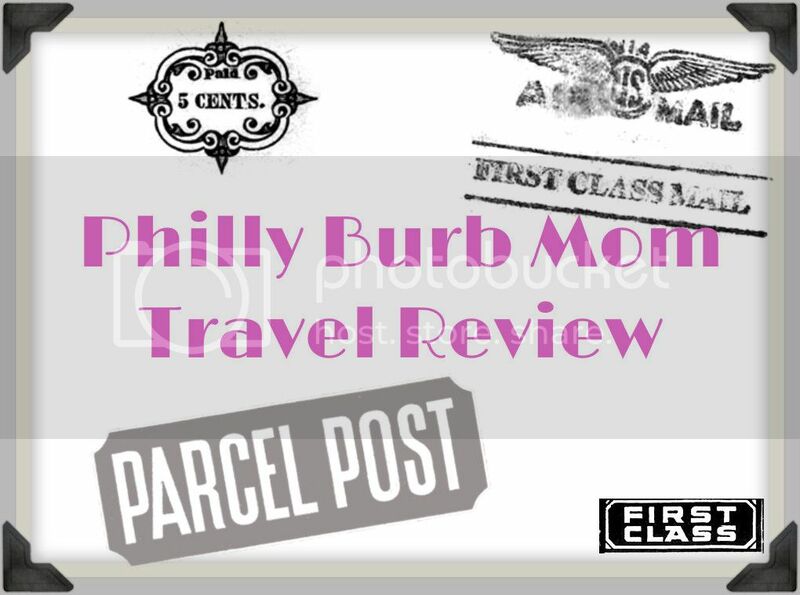 Over the next few weeks, we’ll be sharing her reviews of the local attractions: The Strasburg Railroad, The Choo Choo Barn and The Amish Village. Each review will also have a coordinating GIVEAWAY for admission tickets to these attractions, so be sure to check back! What is a Staycation, though, without STAYING OVER? We’ve got you covered. Chesco Mom Steph and her family stayed at the wonderful Doubletree Resort in Lancaster. Here’s her review of the accomodations and her Top 5 Reasons to Come Stay at the Doubletree Resort in Lancaster! I’ve always found it to be a treat to stay at a hotel. There are no home responsibilities to take away from your pleasure, no work to burden you. Someone else will make your bed and clean your bathroom. And there are usually super fun attractions to keep things exciting. If you know me at all, you know I have a sweet tooth. So when we arrived in the lobby of the Doubletree, I immediately smelled beautiful baked things. I thought maybe it was all in my head, and brushed the thought aside. But once we checked in at the front desk and got our room key, we were sent off with CHOCOLATE CHIP WALNUT COOKIES. Free cookies. Freshly baked cookies. One for each of us. Gooey melt in your mouth best cookies I’d ever had. Apparently, this is something all Doubletree Resorts do. Which I find amazing. Because if I had to choose between a Doubletree and a different hotel of the same caliber? I’d totally choose a Doubletree simply for the free cookies. I tip my hat to you, Doubletree. Well done. I’ve shared on my personal blog about navigating through reviews to find a good hotel (ie: nice accomodations that you don’t have to take a loan out for), only to be left severely disappointed once we arrive for our stay. My husband and I have really seen it all in terms of hotel accomodations: bad smells from being located over a hot deli, dirty bed linens, no elevators to the upstairs floors, etc. So we are always a bit nervous and wary when we arrive for hotel stays. Doubletree Resort in Lancaster did not disappoint! A beautiful lobby welcomed us, and a short elevator ride took us to our floor. Upon opening the door, we knew we’d have a cozy overnight. 2 plush beds with fluffy comforters and pillows greeted us. The room was clean, and well-appointed with a flat-screen TV and mini-fridge/coffee station. There was a desk I could do some social media work work at while my husband and daughter played, as well as a comfy arm chair. The bathroom seemed to have recently been renovated, with contemporary tiling and a nice large counter space to accommodate our small family. Every room has a nice view of the Lancaster countryside, which is a nice perk when you open the curtains to the large window. As the mother of two small girls (one of which stayed at home to enjoy a weekend with her grandparents), I appreciate any attraction that is family-friendly. So when I was first doing my research on the Lancaster Doubletree, it was nice to see they had both and indoor AND outdoor pool. Upon further investigation, I found that they also offer an indoor water playground for younger kids! This playground is perfect for families with kids in elementary school or younger. There is a fun loopy slide for the older and more adventurous kids, as well as a small slide and climbing area for toddlers and preschoolers. The water in most of the area is shallow, and for the little ones, there is a gradual walk in to the water (think of a small hill leading to the ocean). My daughter is almost 4, and could not get enough of the play area. The area is closed in, so it’s easier to keep an eye on your kiddos. It also serves to separate the other guests without kids so they are not disturbed while using the indoor pool. Overall it is a WIN for everyone! I still laugh when I watch Home Alone 2, when Kevin (once again) finds himself separated from his family. In the second movie, he is in New York City, and decides to take up residence at the Trump Plaza. The conceirge at the Plaza is clearly stuck up and condescending, only wanting to cater to the most VIP of guests. Not so at the Doubletree Resort in Lancaster. The staff was warm and friendly, even joking around with my preschooler. They made check-in and check-out easy, and did not make us feel silly for any questions we needed to ask. At one point, I realized I forgot a few toiletries. We went down to the front desk, and the staff quickly took care of our needs, no questions asked. There is something inviting about a hotel when the staff members are happy, welcoming and accomodating. There is plenty to do in the surrounding Lancaster area, some of which we’ll share with you over the next few weeks. 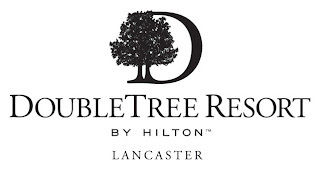 Aside from the 3 great attractions we’ll be reviewing in the weeks to come, the Doubletree Resort in Lancaster is close to mini-golf, the renowned Tanger and Rockvale Outlet Shopping, Dutch Wonderland, Hershey Park, restaurants and more. This is a great central location when planning a stay to Lancaster County!